We are proud to announce the Chris Kyle Frog Collection by Pro-Tech. Chris Kyle is the American Sniper. Through four tours he served and protected his fellow military members and his country, becoming the most lethal sniper in United States Military history. He wrote his story with the 2012 New York Times Best Selling Book, American Sniper, which was immortalized in 2014 by screen legend, Clint Eastwood, in a movie of the same name. The movie received six Oscar nominations including Best Picture and Best Actor for Bradley Cooper who played Kyle in the movie. Chris sadly lost his life in February 2013 while pursuing his post-deployment passion – helping fellow military members re-patriate after their service. The legacy of Chris Kyle lives on through the Frog. The Frog logo is the convergence of two tattoos that Chris wore. 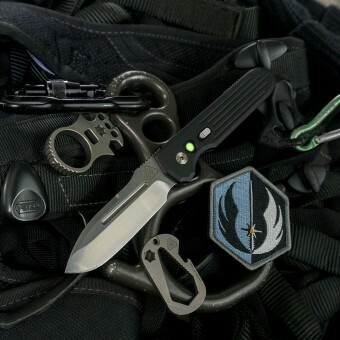 Proceeds from the Pro-Tech Chris Kyle Frog Collection help the Chris Kyle Frog Foundation create experiences to support their vision of a country of connected and thriving service members, first responders and their families. Designed by Les George, the Auto Eagle features the signature Wilson Combat starburst pattern, a slide safety, and amazing coil spring action. These special limited run pieces are available exclusively through Wilson Combat. 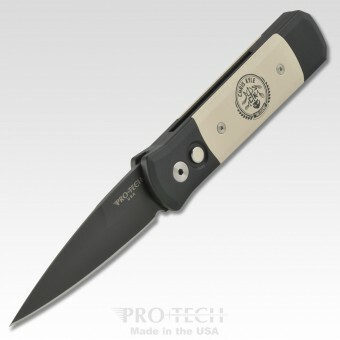 Pro-Tech is proud to collaborate with Prometheus Design Werx and builds to their spec, the PDW Invictus MIL-LE Auto. 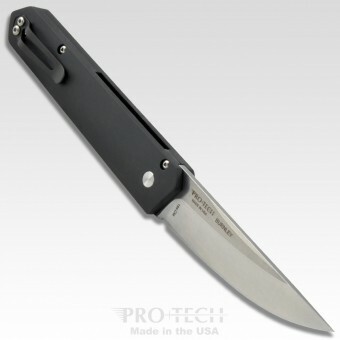 The PDW Invictus™ MIL-LE DC Edition in BLK/SW is a distinctive and iconic folding knife pattern produced with our Military and Law Enforcement customers specifically in mind. 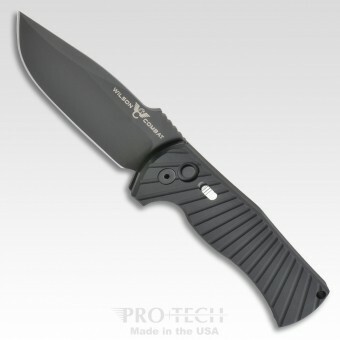 A superlative edged tool without compromise made for those who serve and protect. Precision, Strength, Courage. Proudly building on a second-generation family history between the two companies and families – we are proud to announce our first collaboration knife project with Böker. 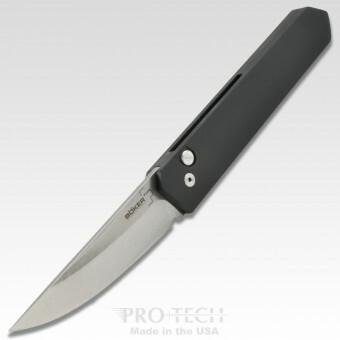 We have added the precision coil spring action of a Pro-Tech to the Lucas Burnely designed Kwaiken. Many styles, sizes, variations coming soon. Completely built by Pro-Tech here in the USA – Distribution by Böker.